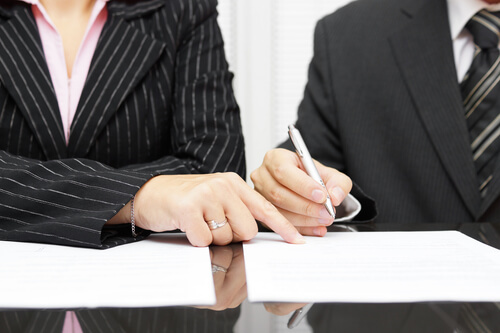 #1: A separation agreement is a contract between two spouses. It's a good option when there is little or no conflict between the spouses and there is general agreement on the big issues, such as child custody, parenting and access. #3: Don't rely on a template separation agreement. There is too much at stake and the consequences of a single error or omission can be severe. Moreover, most template Separation Agreements are not even legally binding. #4: You can amend or end a Separation Agreement at any time. But once again, it's best to get legal advice before you make any significant changes. #5: Living apart does not necessarily mean that the partners are living in different locations. For economic reasons, some partners may choose to stay in the same home, but live separately within that location. #6: You can separate from your spouse at any time. There are no legal obligations. You don't need a Separation Agreement or Court Order. However, if your intent is to get divorced, you must wait a minimum of 12 months.